First of all, sift the flour and sugar together, add the butter, eggs and almond extract then mix until combined. Once mixed, fold in 2/3 of the blackberries whole. Let the mix settle whilst you carry out the next step. 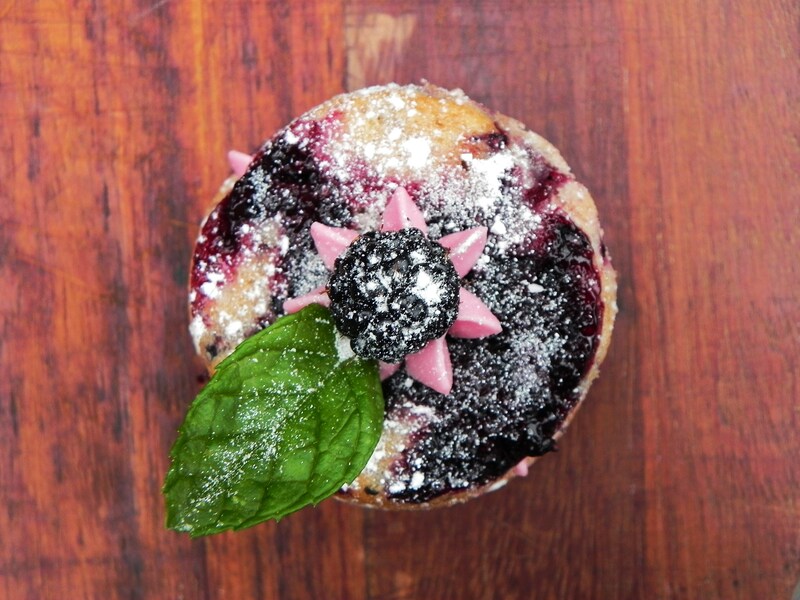 Place the remaining blackberries in a pan over heat with a sprinkling of caster sugar and the juice of a lemon. Stir until boiling then sieve away the liquid (the jam-like blackberries you have left should be very soft and will cover the tops of the little cakes). Take a silicone mould (or any small mould you have) and grease with butter. 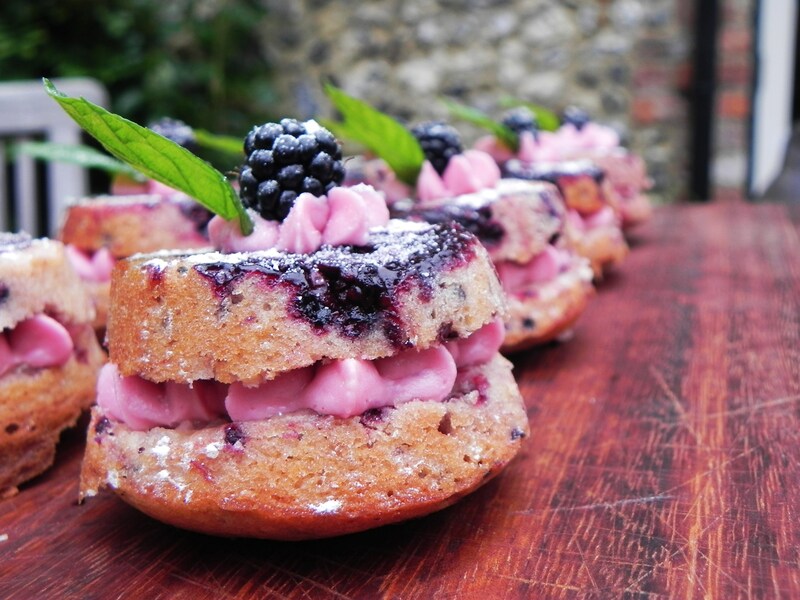 Place a teaspoon of the soft blackberries in the bottom of each hole then fill 2/3 full with the sponge mix. Bake for 15 minutes at 190 then leave to cool. Meanwhile, make your mascarpone filling. For this, simply whisk the icing sugar with the cream and it’s done ( I added a little of the reserved blackberry liquid to give the pinkish hue but this is not necessary). Once cooled, turn out each cake and cut in half. Spread a little apple sauce over the bottom layer, followed by a squirt of the mascarpone cream. Sandwich the two pieces together and decorate as you please. Yum!! plus very very pretty!!! These are the cutest, I love the little touches like the powdered sugar and mint leaf! Looks divine. Sounds even better! These look terrific (and make me wish it wasn’t so hard to get my hands on fresh berries over in this side of the world)! ← Do you remember the Shire, Mr Frodo?